PPG Science Pavilion at Carnegie Science Center. Rendering courtesy Carnegie Science Center / Indovina Associates. 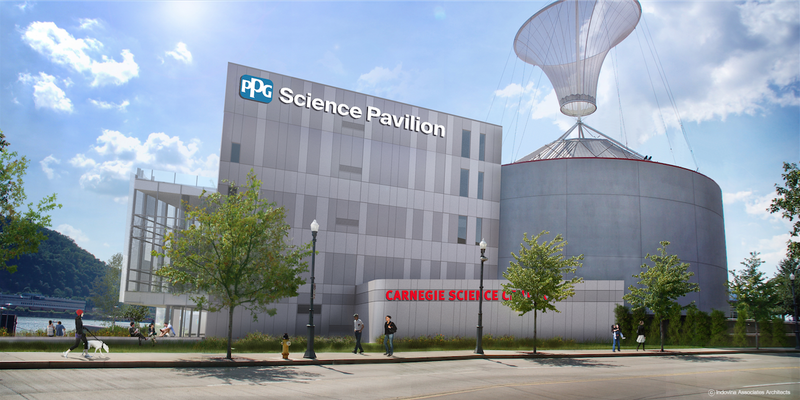 When news broke yesterday that PPG had donated $7.5 million to the Carnegie Science Center, it marked the last big chunk of fundraising in the Science Center’s multi-year, multimillion-dollar Spark! fundraising campaign. Launched in late 2014, the campaign has so far raised more than $45 million for the North Shore institution, $29.8 million of which will go toward creation of the PPG Science Pavilion, a 48,000-square-foot addition that will greatly expand the museum’s exhibition, classroom and event space. That, along with some major upgrades to the Science Center’s movie theater experience, is on the way. “Spark! is an extension of the mission of the Carnegie Science Center, which is to engage and inspire the next generation of scientists,” says Connie George, senior director of marketing and community relations for the Science Center. PPG Science Pavilion, which is scheduled to open June 2018, will include 14,000 square feet of gallery space known as the Scaife Exhibit Gallery. George says that the new space will allow the Science Center to host national touring exhibitions that previously passed over Pittsburgh due to a lack of adequate exhibit space. The first exhibition to be housed in the new PPG Science Pavilion will be The Art of the Brick, an exhibition of more than 100 works by the artist Nathan Sawaya, all of which were constructed out of Lego brand building blocks. The new pavilion will also welcome an exhibition on artist and inventor Leonardo da Vinci at a future date. The ground floor of the new addition will hold the FedEx STEM Learning Labs, which will double the Science Center’s current teaching space by adding 6,000 square feet of laboratories and classrooms. On the fourth floor will be the 10,000-square-foot Pointview Hall and Terrace. “We will have one of the largest museum-based banquet and meeting halls in the city of Pittsburgh,” says George, adding that the top floor will have room for more than 300 people, including an outdoor terrace with views overlooking Point State Park. 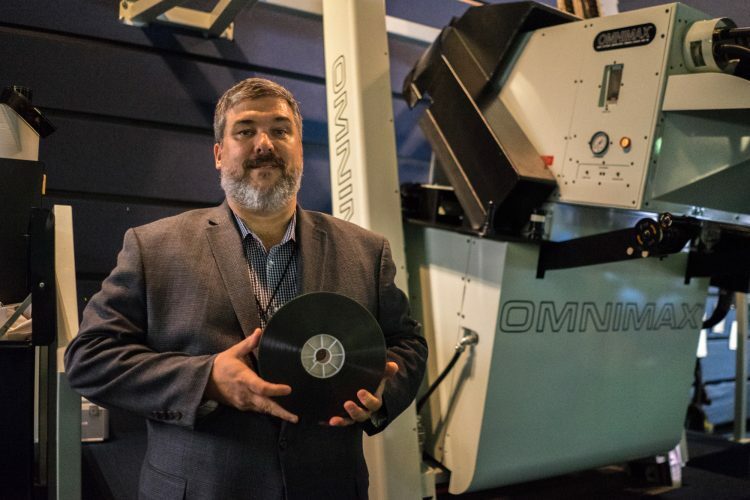 Chad Hunter holds a 70 mm film reel in front of the Omnimax projector. Photo by Brian Conway. Another big change comes July 8-9 when the Science Center bids adieu to its Rangos Omnimax Theater with a 31-hour movie marathon of classic Omnimax educational films like Hubble and Yellowstone. After the marathon, the Omnimax—one of only 50 of its kind remaining worldwide—will be removed and construction will begin on the state-of-the-art Rangos Giant Cinema. “We’ve been hugely restricted in the kinds of programming we can do because of limitations of what’s available on 70 mm film,” says Rangos Giant Cinema Director, Chad Hunter. The new theater will have a 3D-capable flat screen measuring 70 feet wide by 38 feet tall. Films, sent via hard drive or satellite download, will be projected on dual 4K Christie laser projectors, while sound will be broadcast on a Dolby Atmos system that boasts speakers in the ceiling for a fully immersive sonic experience to go along with the state-of-the-art visuals. Hunter says the upgrade will allow the Science Center to show “a much more eclectic mix of programming,” including live concert events. They also plan to show three to four new-release Hollywood blockbuster films per year. The architect for the theater is Indovina Associates Architects, and D3D designed the projection system install. 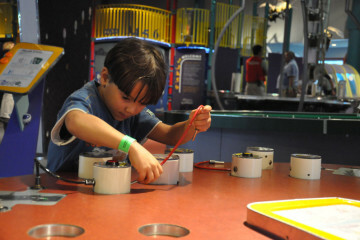 One of four Carnegie Museums of Pittsburgh, the Science Center opened its doors in 1991. The Rangos Giant Cinema is tentatively scheduled to open November 17.